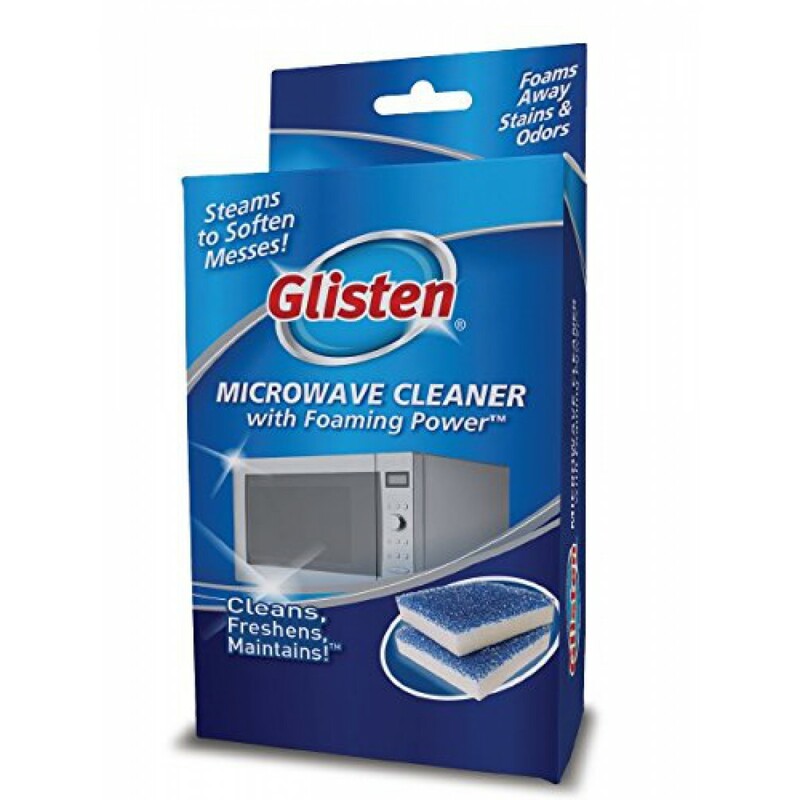 The Glisten Microwave Cleaner 2-Pack with Foaming Power puts the power of simple, convenient microwave cleaning into your hands. Normally, cooked-on food can be an arduous task to remove from your microwave and can require frustrating scraping for little results. Also, unclean microwaves can harbor bacteria such as E. Coli which can be harmful to you and your family. But with the Glisten Microwave Cleaner, all you have to do is remove the cleaner from its individual package, place it in the center of your microwave, and heat it for the amount of time recommended for the microwave wattage. During heating, the foaming power is activated and the cleaner releases powerful steam that works to loosen cooked-on food residue. After it has cooled to the touch (about 3 minutes), the cleaner can then be used with a scrubber along with the emitted foam for a painless microwave cleaning. This product is non-toxic and will not leave any residual chemicals behind. 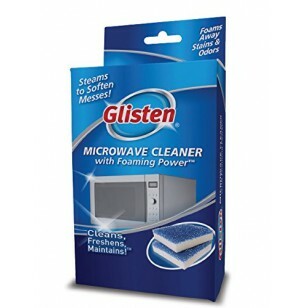 A clean microwave has never been easier with the Glisten Microwave Cleaner 2-Pack with Foaming Power; order today! 3. Heat for amount of time as indicated by your wattage. 600-650 Watts: 40 seconds. 700-850 Watts: 30 seconds. 900-1200+ Watts: 25 seconds.